The drawing is now closed. 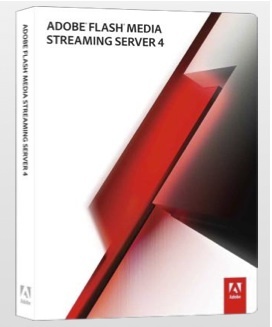 Last week, Adobe announced new versions of their Flash Media Server and thanks to them, I have one copy of Flash Media Streaming Server 4, which retails for $995, to give away to one lucky reader of my blog. (For in-depth details on the new features of FMS4, visit the Adobe blog and StreamingMedia.com) To enter the drawing, all you have to do is leave one comment on this post and make sure you submit the comment with a valid email address. Because the software will be delivered to the winner in electronic form directly from Adobe, this drawing is open to everyone with no geographic restrictions. The winner will be selected at random at the end of the month. A big thanks to Adobe for the giveaway! Congrats to Pete Gebhart of Secaucus, NJ who won the server.